2017 has so far been the year of trips across the Atlantic – St Pete Beach, New York, Miami and this past week, back to New York again only this time with Husband. He felt a little jealous of my solo trip in February, so we took advantage of a Virgin Atlantic sale and booked up for July. 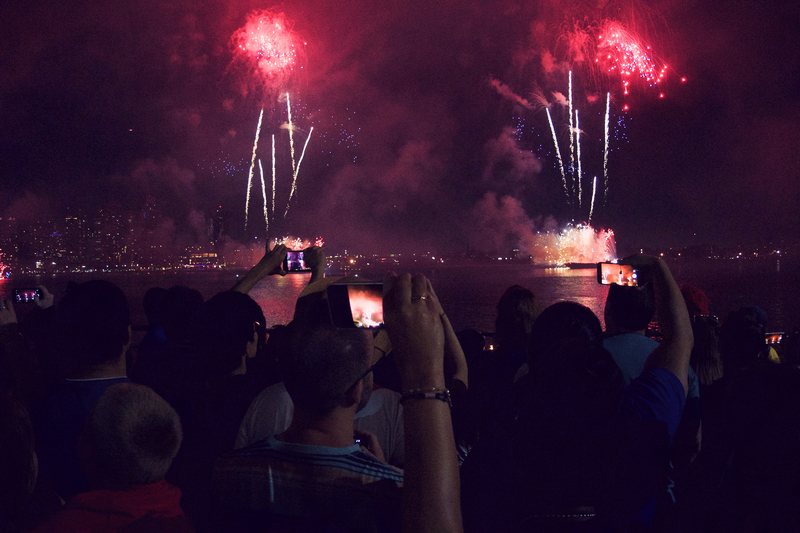 I’m pleased we got to experience a different side to New York as we’ve only ever been when it’s been freezing cold, but New York in July is insane, particularly when they’re celebrating 4th July. Every other person was wearing a Stars and Stripes t-shirt, shorts, dress, hat. And then there was the Macy’s fireworks celebration. They do love their independence. We genuinely had a great time and managed to power through the oppressive heat to try some things we hadn’t tried before which I will be blogging about with my usual level of detail once I’ve got through my stack of photos.